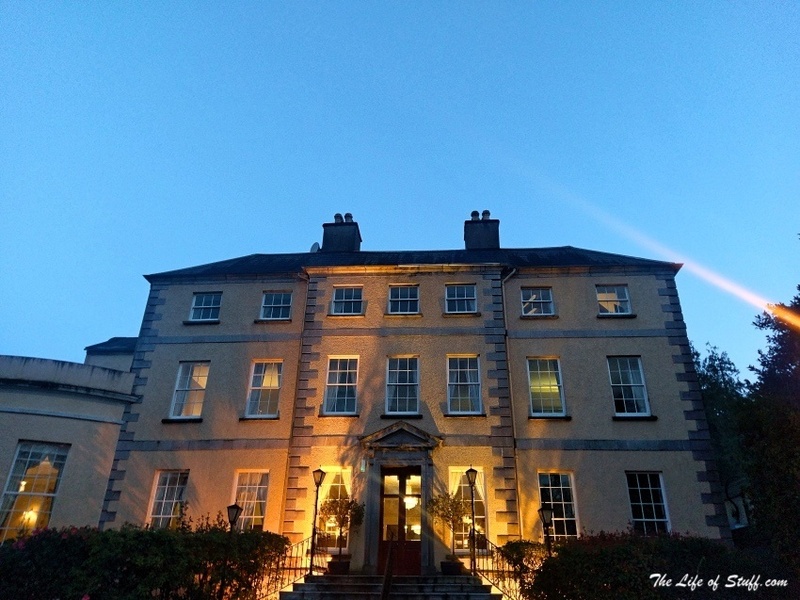 When the opportunity arose to spend a couple of nights in Cork last month, I couldn’t turn it down – especially when the invitation was extended to Patrick and our little munchkins, and our home from home was to be the privately owned and luxurious Maryborough Hotel & Spa. 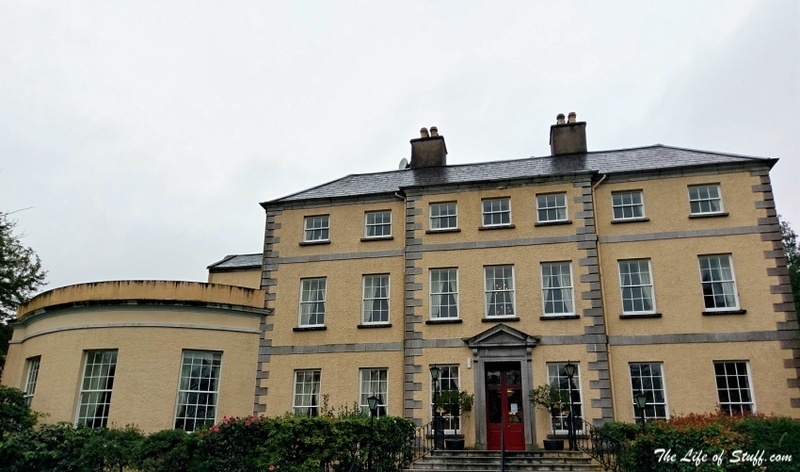 At a short drive of about fifteen minutes from Cork City, and a stroll from Douglas Village you’ll find the late 17th century Georgian Maryborough mansion in all its glory at the end of a tree-lined driveway. 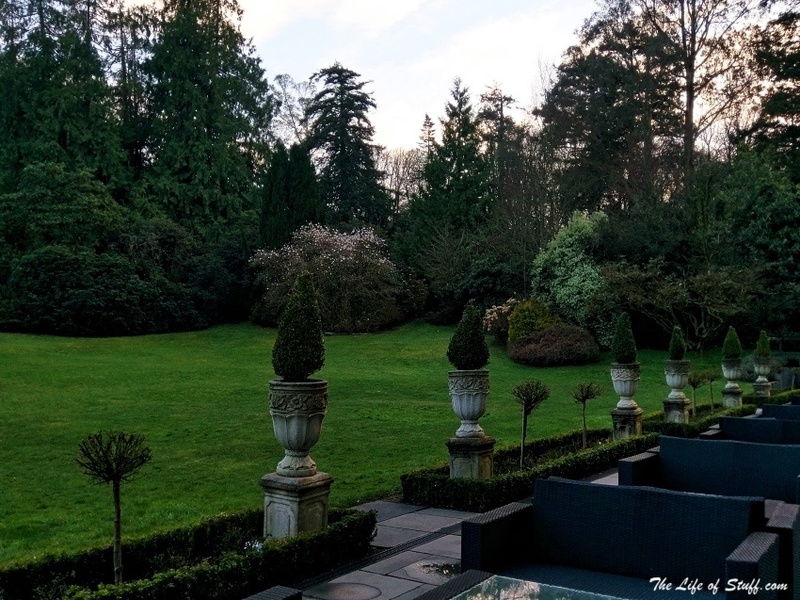 Its purposely built extension that houses the majority of its guest rooms as well as its award-winning Bellini’s Restaurant, and award-winning ESPA Spa takes nothing away from the splendour of the house from the outside but adds so much from the inside. 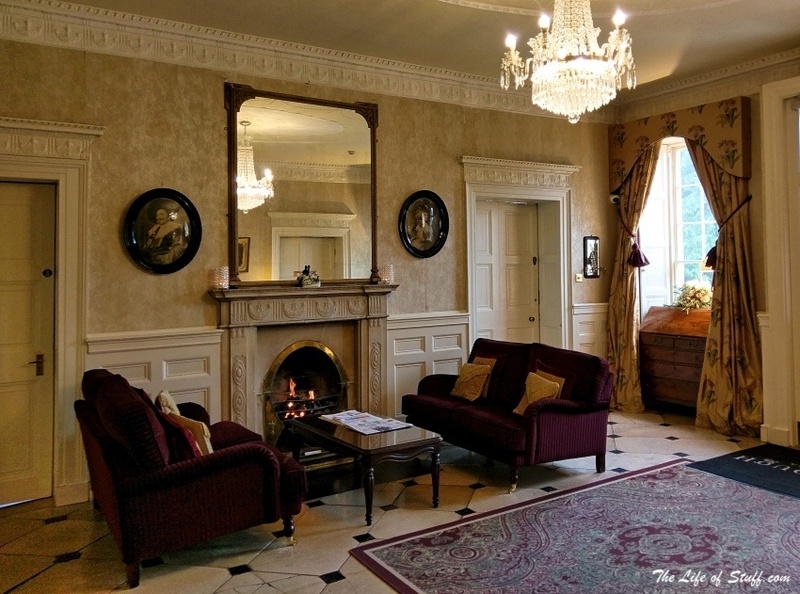 Greeted by an open fire, period furniture and decor befit of the history of the house, the reception and lobby, along with the staff that checked us in, were bright and cheerful. 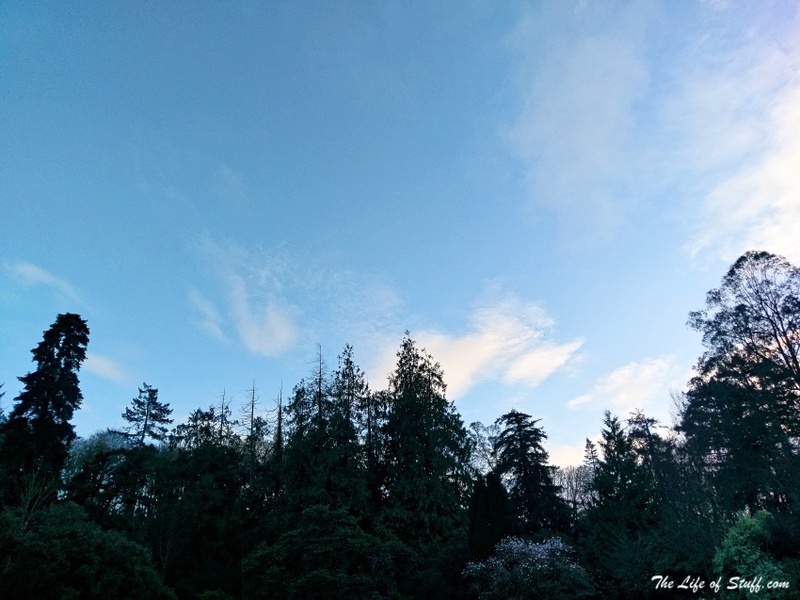 Always a great start to a stay. 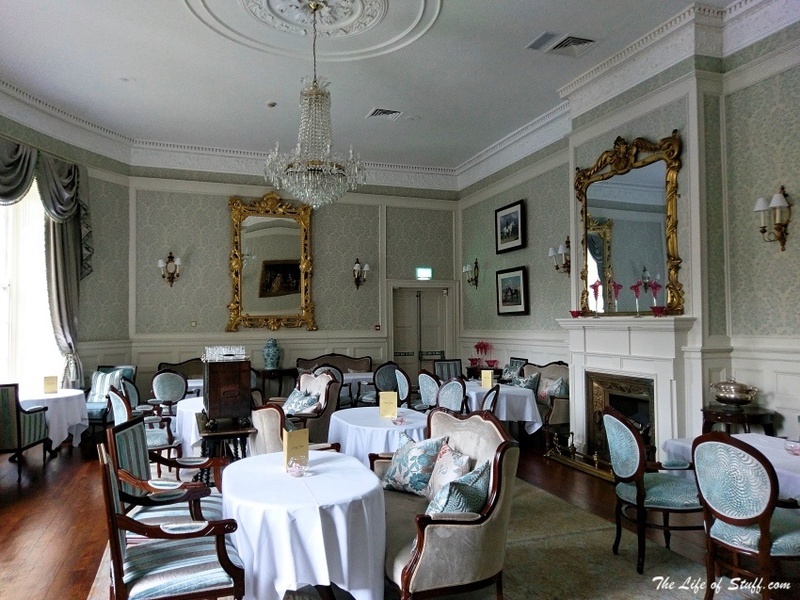 *A peek at the Tea Room, where you can enjoy Afternoon Tea in style. 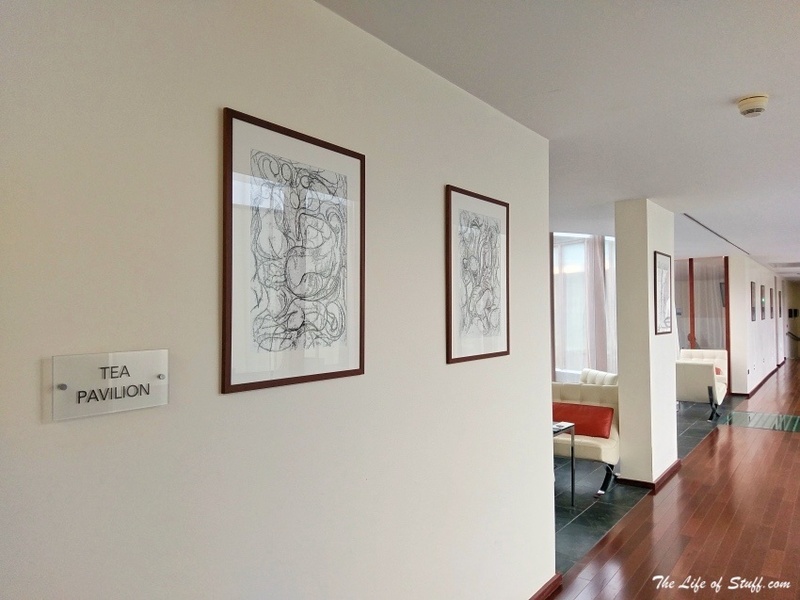 In fact there’s an Afternoon Tea option for children too – something I’ll be keeping in mind when our boys are a little older. Prosecco on ice for Mammy and Daddy, and personalised cookies for the boys. Such a lovely welcoming gesture. Unfortunately the prosecco had to wait but the deliciously crumbly butter cookies were devoured within minutes, by us all. Our room was a good size and spotless. 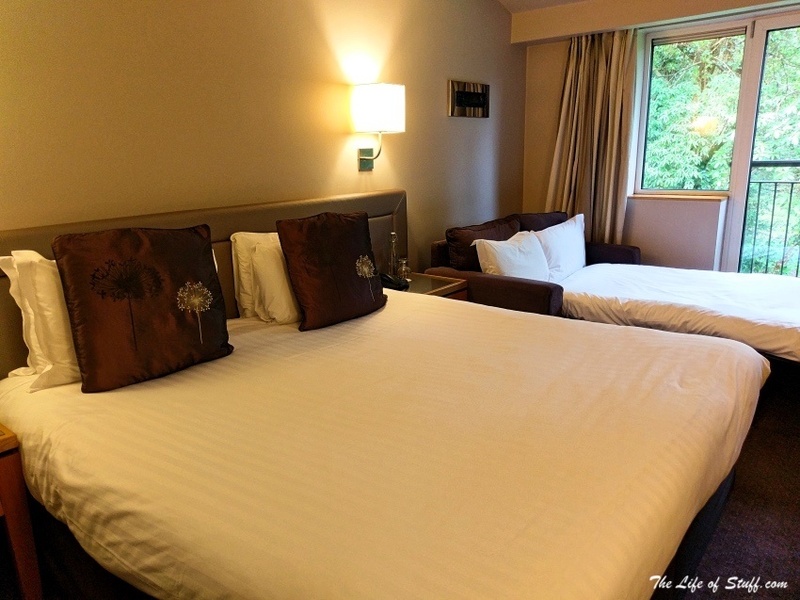 I love clean white linen on hotel beds and that’s exactly what we got. The room had all the mod cons you’d expect from a luxury hotel including cable T.V., efficient WiFi and enough sockets to charge your electronics – because these are the times we live in. 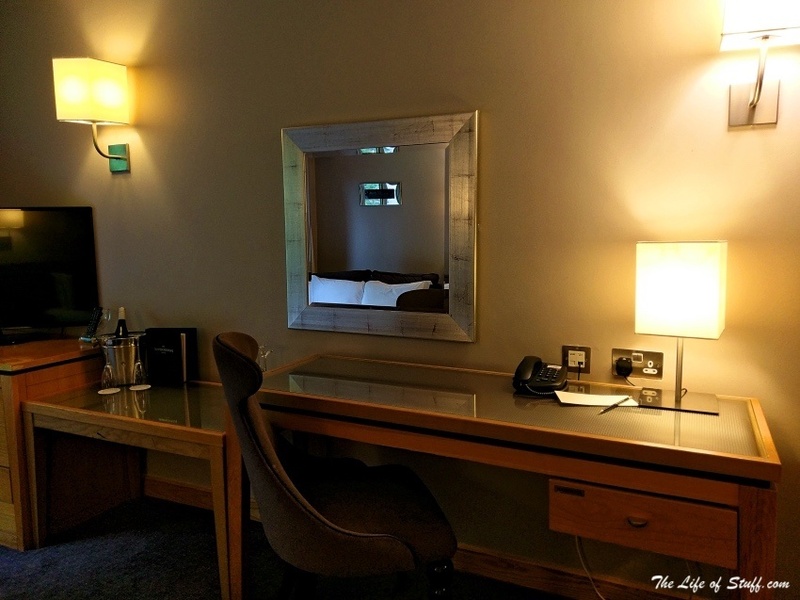 The sofa in the room could be made into a bed, but we opted for a cot bed for Smith instead as it gave us more leg room – best to take advantage of this while he’s still small. Cassidy’s cot bed had ample space at the other side of the room near our bed. The bathroom, again, was a good size. 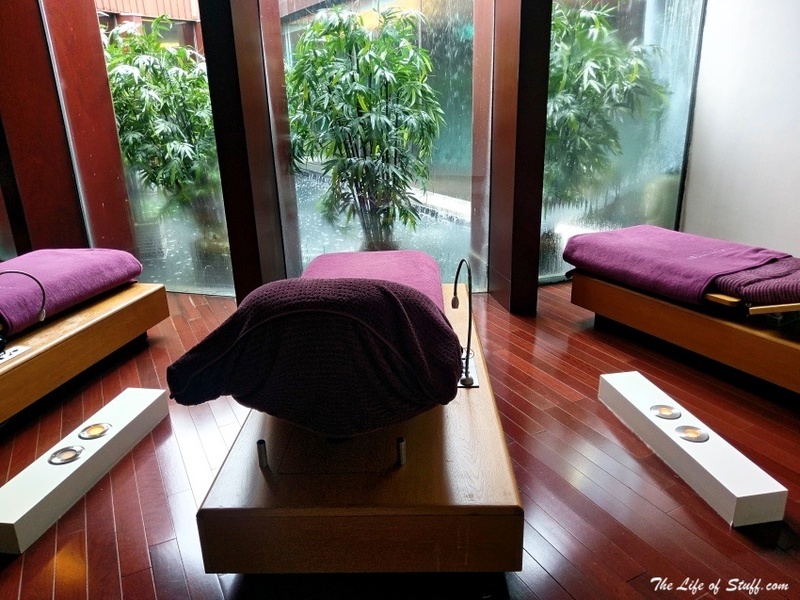 It included gorgeously scented ESPA products, and I gave in to a relaxing bath on our first night when the kiddies went to sleep. We went exploring during the days of our break away. 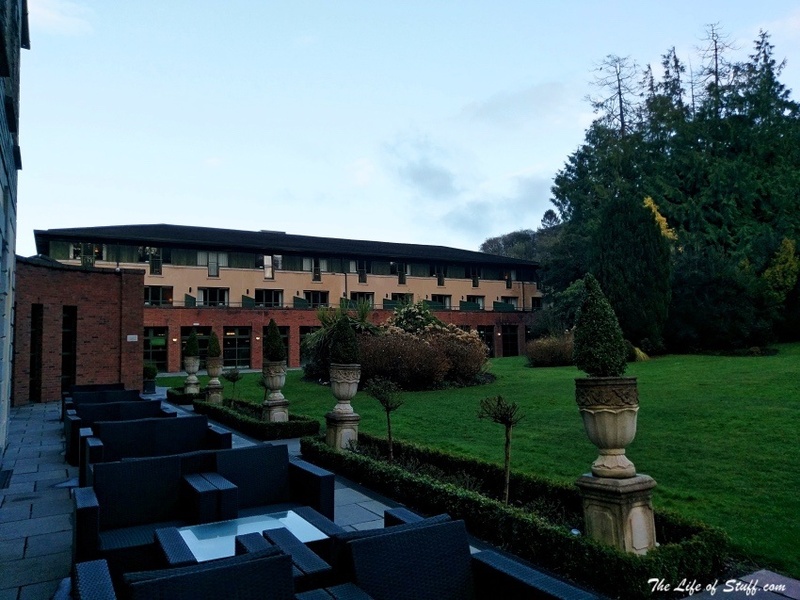 The hotel was a great base for Cork City and we also took ourselves on a ramble to West Cork. 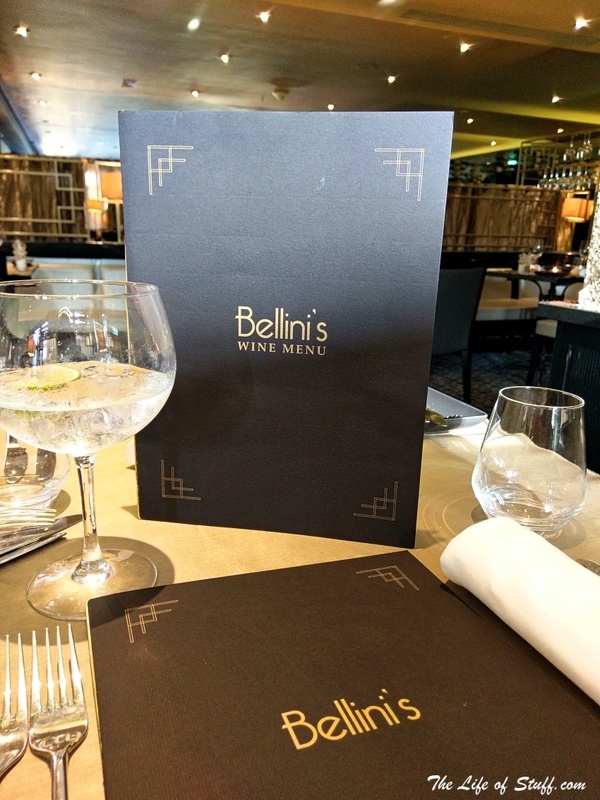 Our package included dinner at the hotel so on our first night we made the earliest reservation of 6pm for their award-winning AA Rosette restaurant Bellini’s. We were greeted warmly and as it was early we had our choice of table. We chose the booth style seating – a good idea when dining out with an inquisitive three-year old. 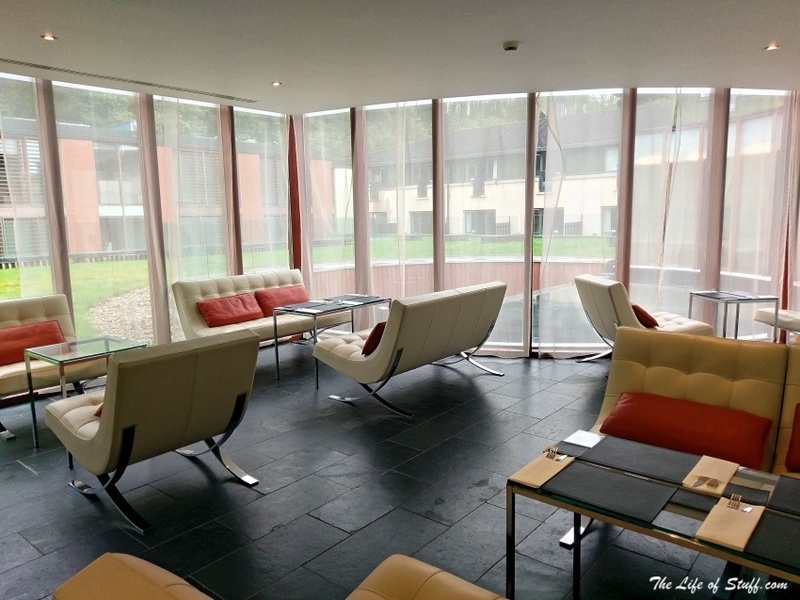 A high chair was supplied for our littlest adventurer and menus for both us adults and our children were also available to choose from – family packages include free dining for children. The freshly baked bread was made light of and after careful consideration our choices were made. Fish, mashed potatoes and vegetables for the boys, and à la carte selections for myself and Patrick. 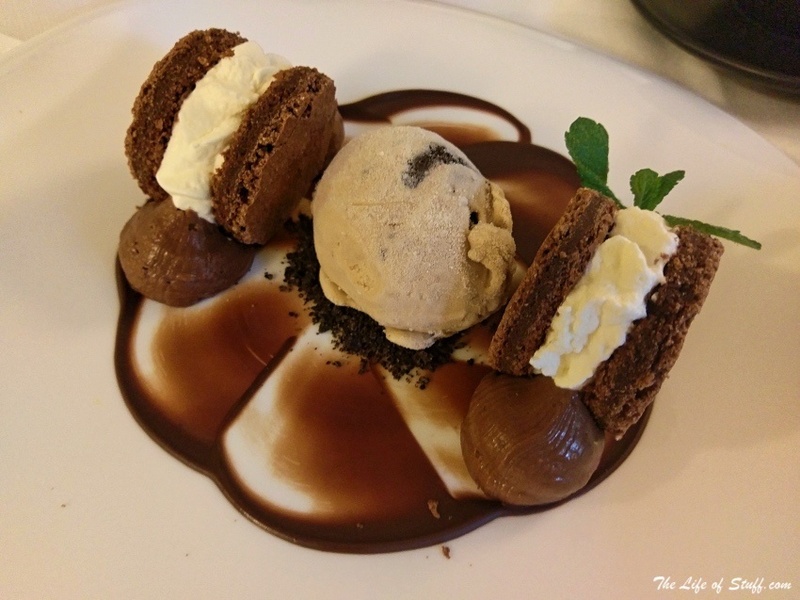 The service at Bellini’s Restaurant was friendly and warm, and I couldn’t fault the attention that was shown to us. The food at Bellini’s Restaurant was terrific. 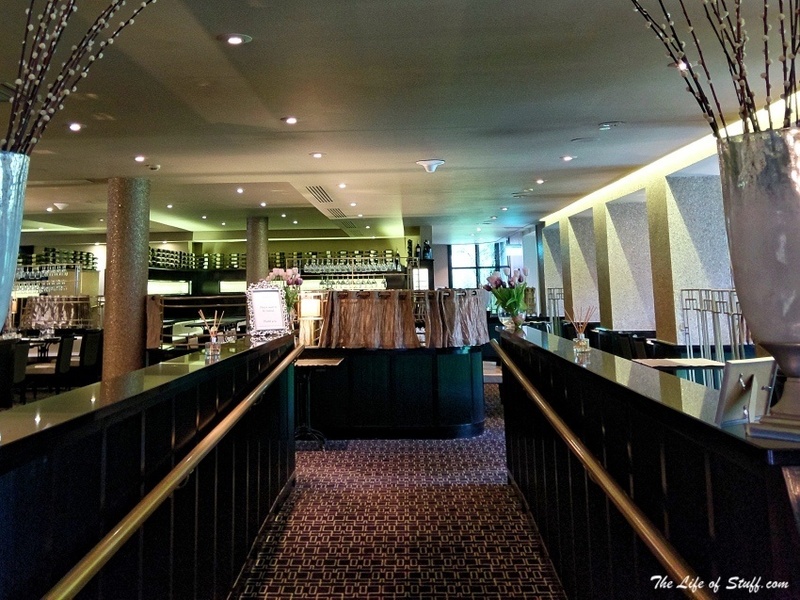 I have to admit that I did little reading about the restaurant before we dined there (which is unlike me) – so the menu, and the quality and taste of the dishes that were served to us took me by surprise. It was a thoroughly happy dining experience and a credit to Head Chef Gemma Murphy and her brigade. 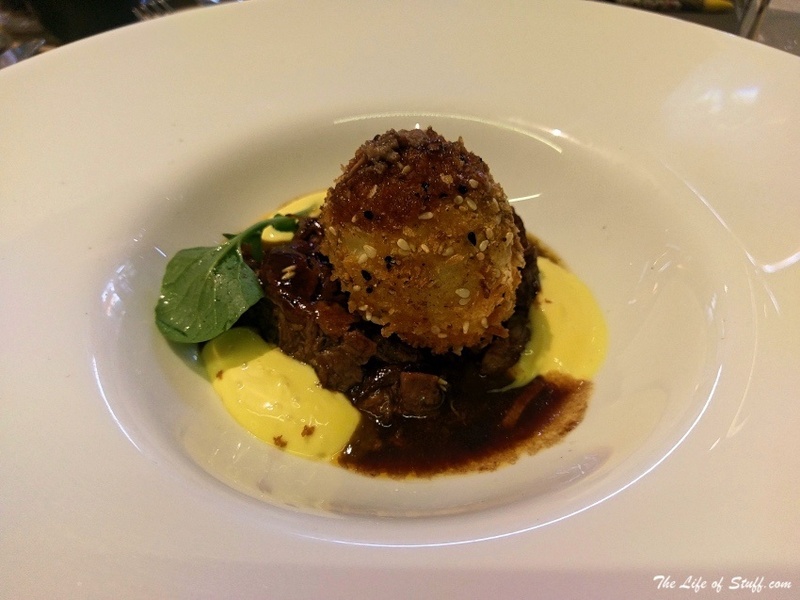 For starters Patrick chose the “Local Ballinwillin House Boar Terrine – Crispy Free Range Egg, Green Tomato Ketchup, Saffron Aioli”. The combination of the flavours and textures really hit the spot for him. 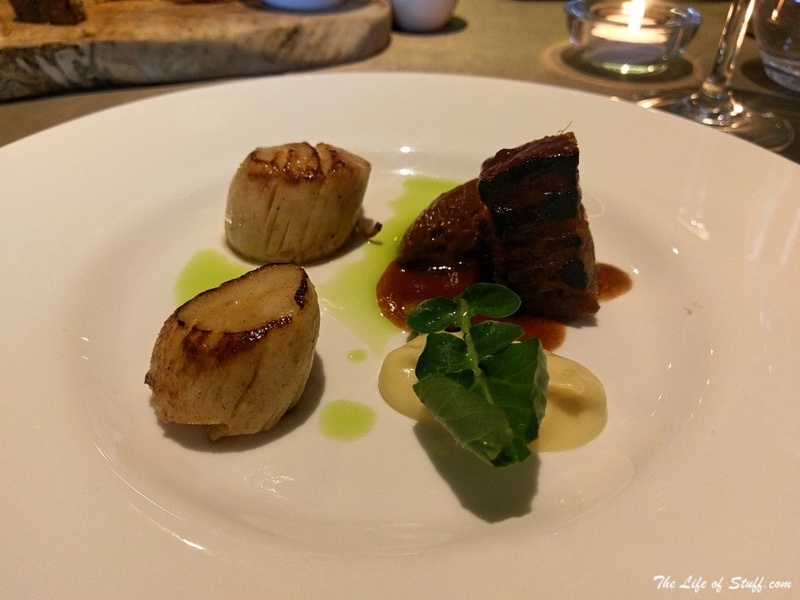 I chose the “Pan Searerd Atlantic Scallops – Confit Pork Belly, Gubben Chorizo Jam, Pumpkin Cream, Tempura Sage.”, because I have a thing for scallops. 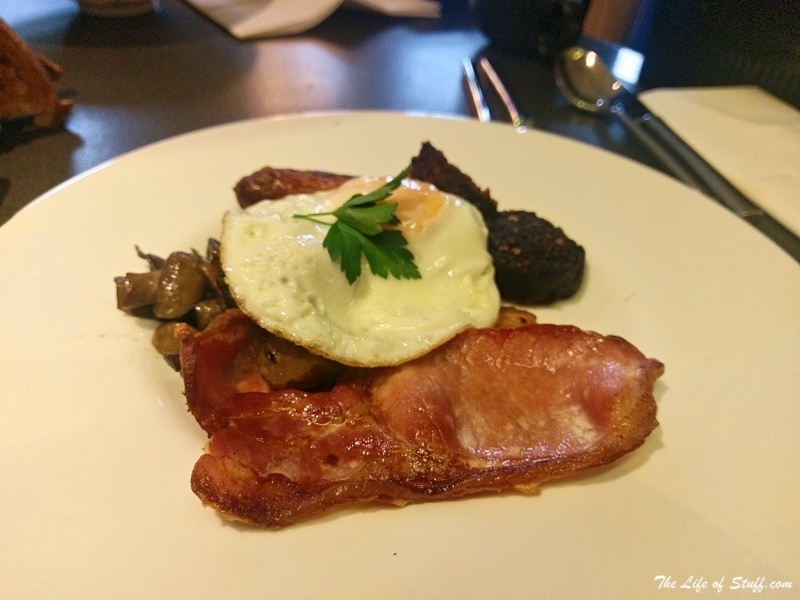 I wasn’t disappointed and they were cooked to perfection – smooth and tasty. As I don’t eat meat anymore, the pork belly was passed to Patrick, who eagerly accepted and enjoyed it. 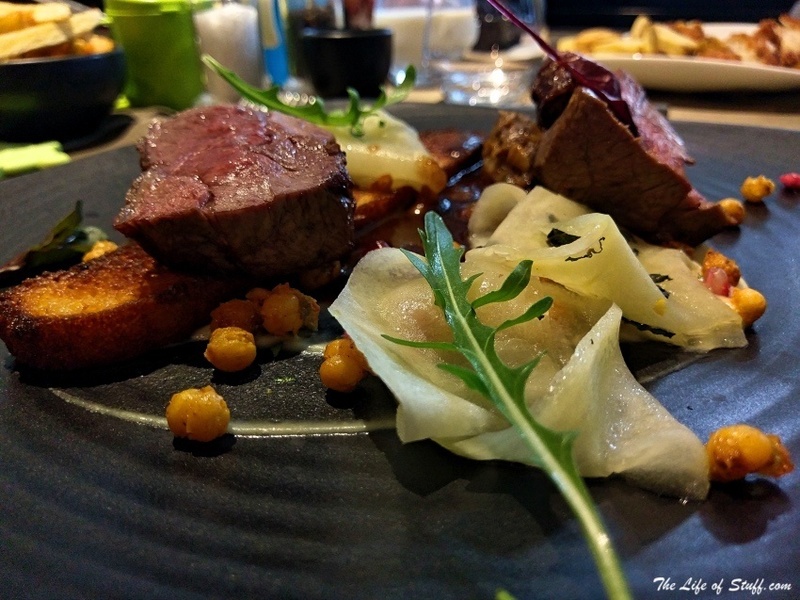 For our main course Patrick chose “Marinated Slaney Valley lamb Rump – Glazed Melon, Warm Cornbread, Chickpea, Aubergine, Pomegranate and Rose hip Jus”. The lamb was tender and perfectly seasoned and its paired accompaniments were light enough to make this the perfect spring dish. 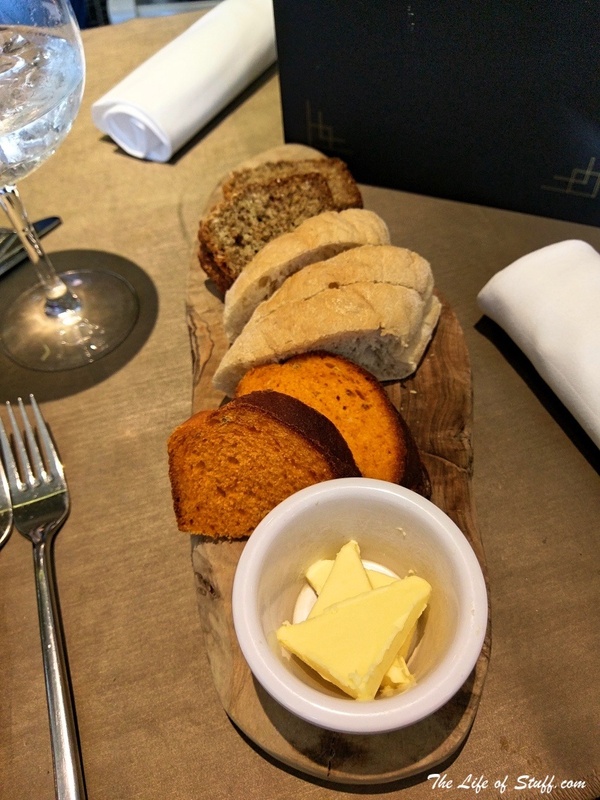 It was also one of a number of gluten-free options which is important to see on modern menus. 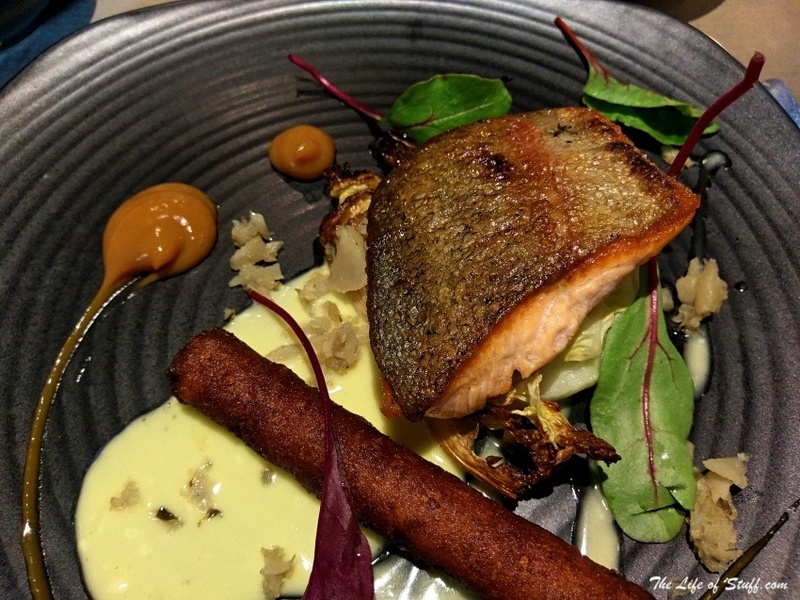 My choice of “Fillet of Irish Trout – Pommes Dauphine, Jerusalem Artichoke, Savoy Cabbage, Smoked Beurre Blanc, Blood Orange.” was a rustic delight. 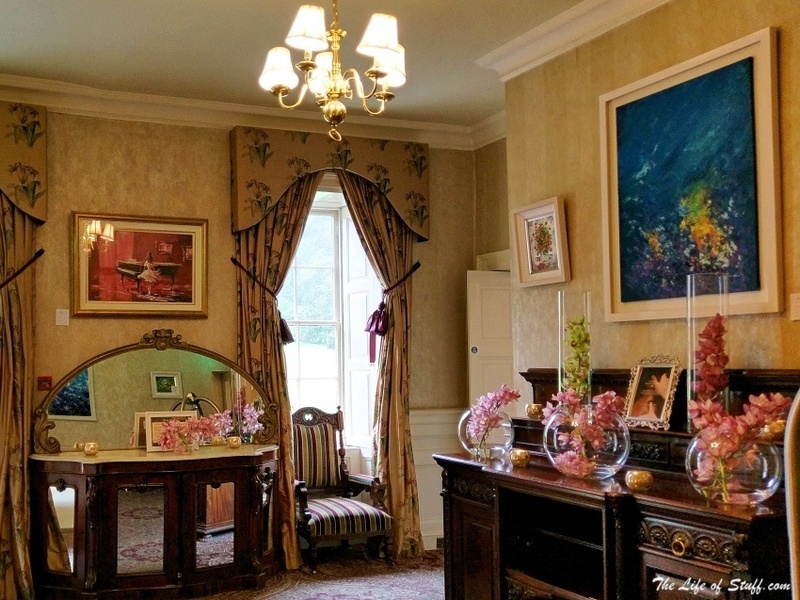 From the crispiness of the skin on my meaty fillet of trout, to the creaminess of the pomme dauphine, I delighted in every bite and although they say etiquette suggests you leave a couple of forkfuls on your plate when finished, I couldn’t waste them. We shared desserts, after deciding to opt for both a rich and light dish. 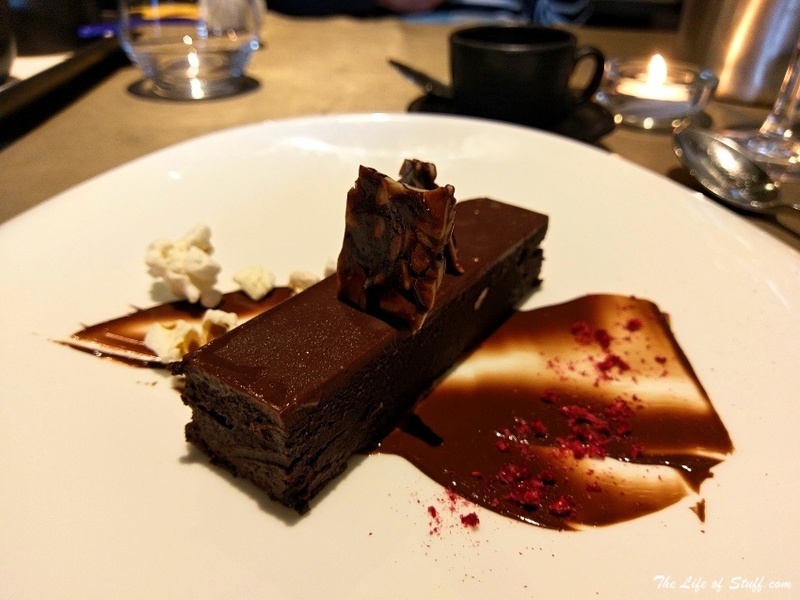 The rich dish was definitely the “Chocolate Pave” with “Chilli Popcorn, Nougatine Tuille”. I loved the addition of the chilli, and enjoyed the popcorn and the snap of the nougatine tuille. The chocolatey richness of each bite of the pave was moreish but only little by little. 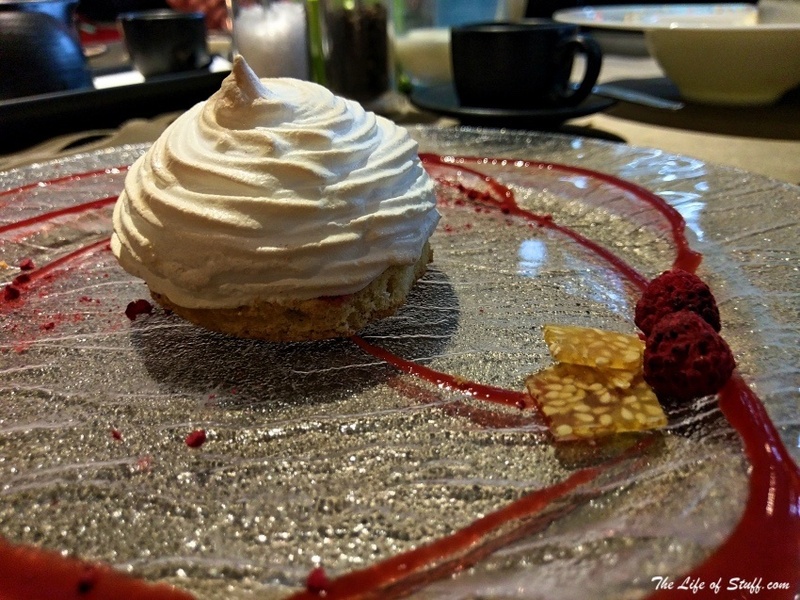 The “Peanut Butter and Jelly Baked Alaska” with “Red Berry Foam, Peanut and Sesame Brittle.” was perfectly formed with its golden tipped meringue peak, gooey inside and crumbly base. Yum. Breakfast was served in Bellini’s Restaurant each morning. There was a good selection of breads, cheese, cold meats, cereals and fruits. Hot food including my pictured Eggs Benedict, Cassidy’s porridge and Patrick’s Irish Fry could all be ordered. 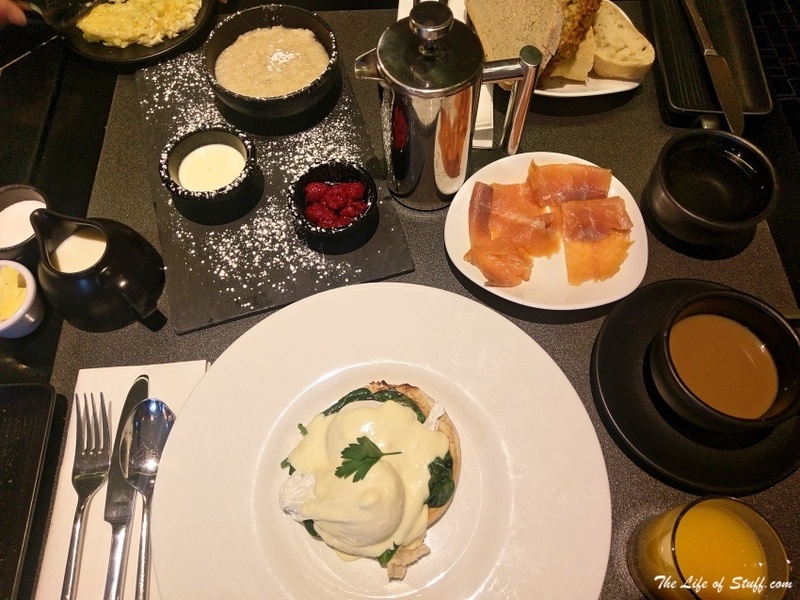 The staff were friendly and helpful and my only faults were that my eggs were too runny, but I know some prefer them that way, the salmon was quite bony and the vegetarian pancake quite dry but otherwise it made for satisfying starts to our days. 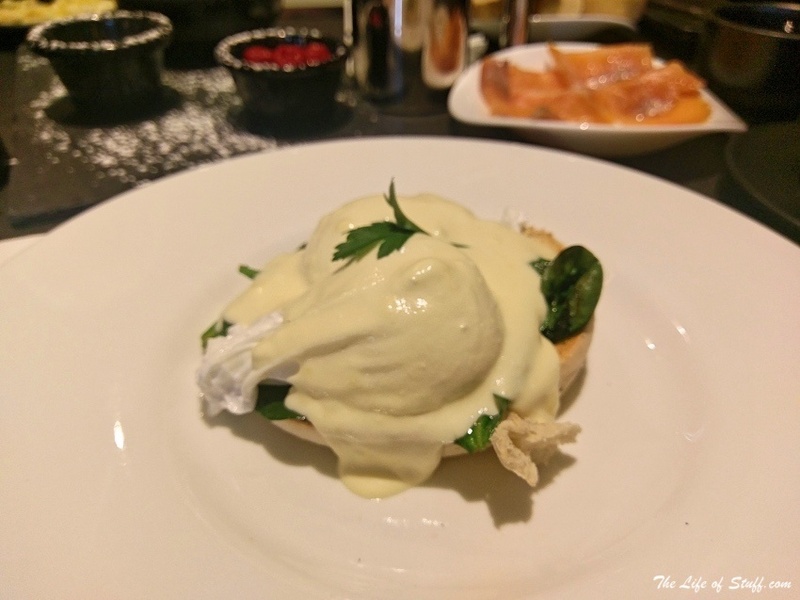 We decided on our second night’s stay to dine at Bellini’s Bar because it meant we could dine earlier, giving us time to go to the pool afterwards – all in time for our kiddies usual ‘bedtime’ hour. We ordered a baby bowl and fish and chips for the littles and as the pool beckoned, Patrick decided to go straight for a main meal, skipping a starter. 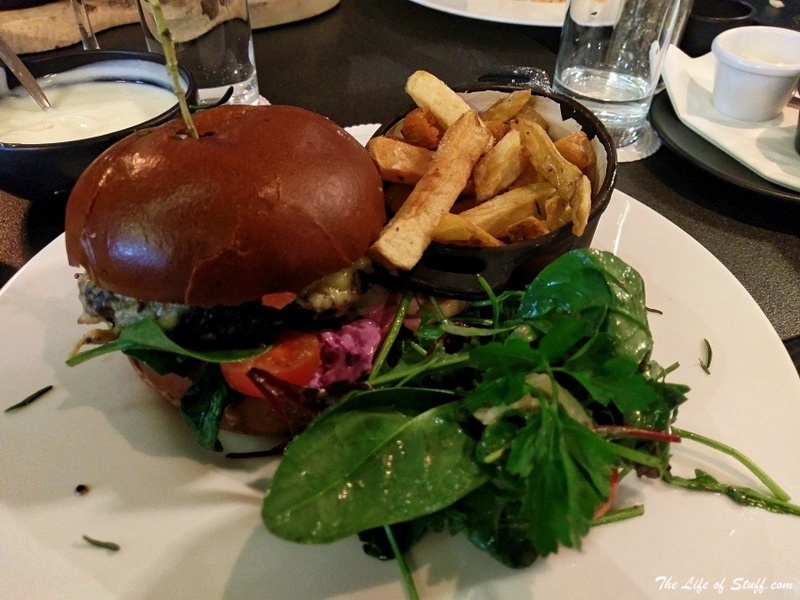 His choice of the “Maryborough 8oz Irish Beef Burger” that was served with “Carmelised Onion, Gherkin, Baby Gem, Bandon Vale Cheddar in a Toasted Brioche” was hearty and tasty. 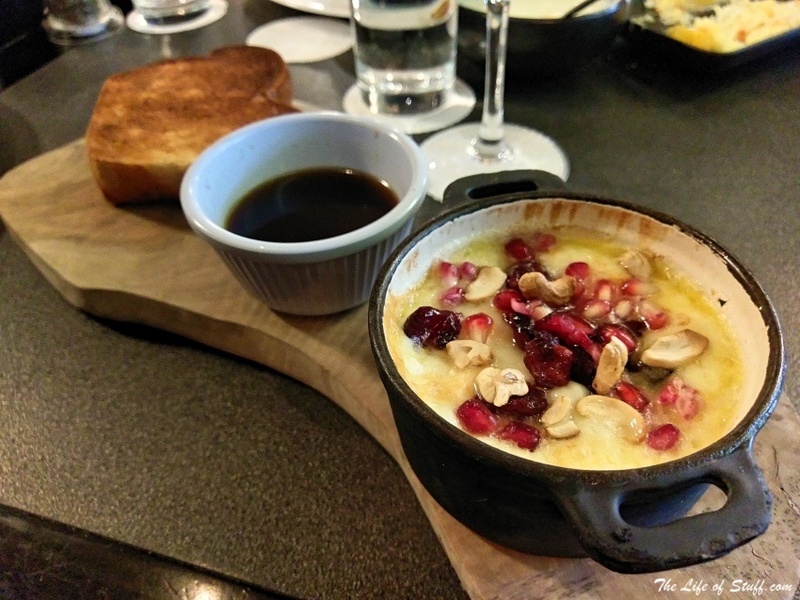 Of course I didn’t skip my starter, especially when I spotted “Baked Brie” on the menu – it didn’t disappoint. 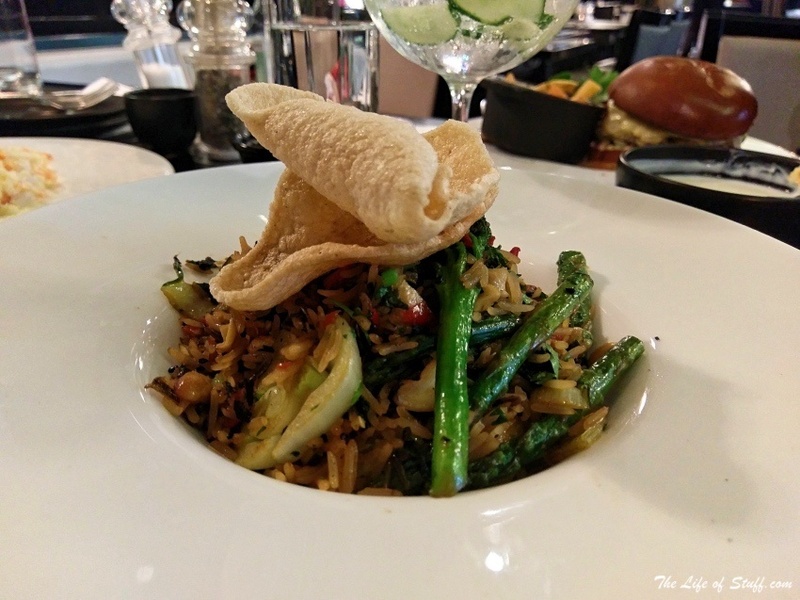 My main course was the “Pineapple Fried Rice – Bok Choi, Cashew Nuts stir fried with a Lemongrass Kefir Soya Dressing served with a Fermented Chilli Paste”. I like pineapple as a fruit but rarely opt for it in a dish however this dish with the addition of prawns satisfied my goo for some asian style cooking. 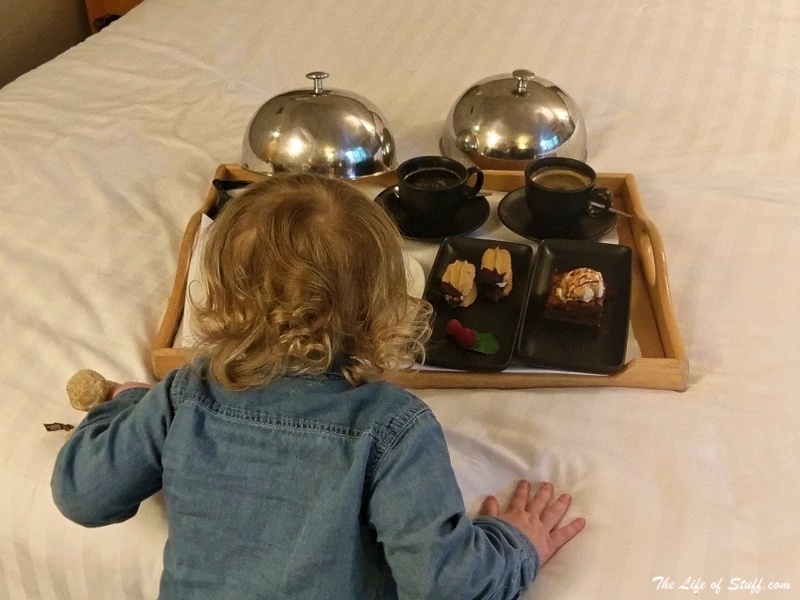 Dessert was not skipped but with time slipping by we decided to take our treats to our room. The Bellini’s Bar staff arranged for it to be brought to our room and from the photo you can see what Smith had his eyes on – “Cookies ‘n’ Cream” – the cat that got the cream comes to mind! 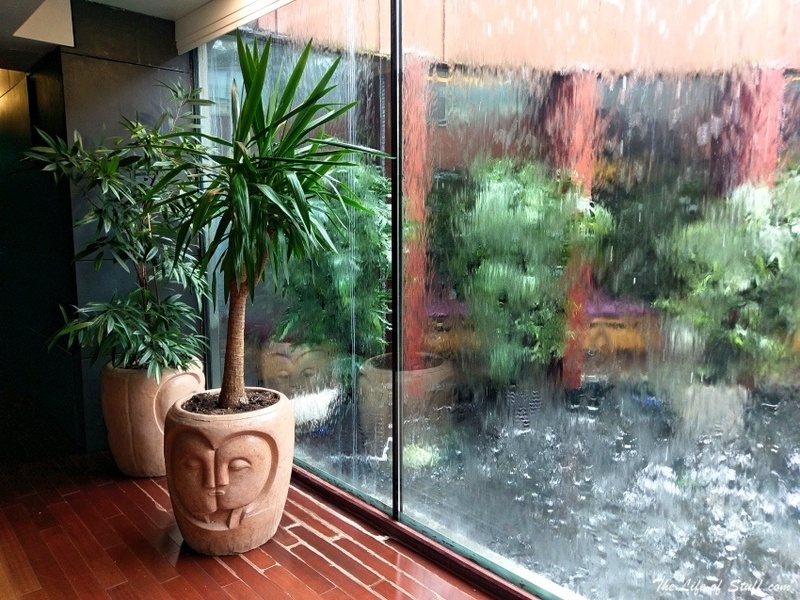 Apart from our lovely family trips to the pool, which by the way is fully equipped with baby pool, saunas and jacuzzi – I stole a little time (the recommendation is at least 40 minutes) for myself and spent it in the Spa. 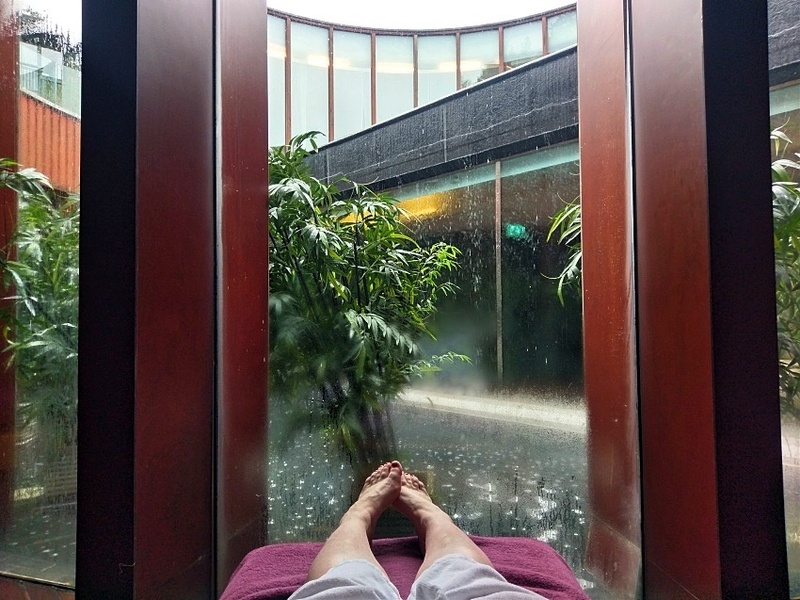 It’s easy to understand why the Spa is award-winning – with its separate male and female spa area and treatment rooms, it really is a place to unwind and relax. 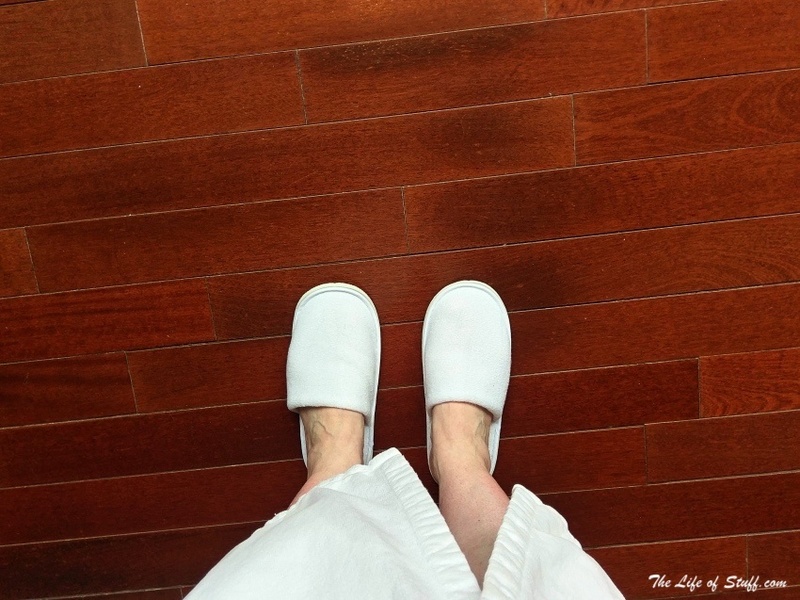 My favourite part of my spa experience was the vitality pool. My regret is not making more use of it. I’ll know better the next time we stay. And on that note is there anything else I would change about our stay? 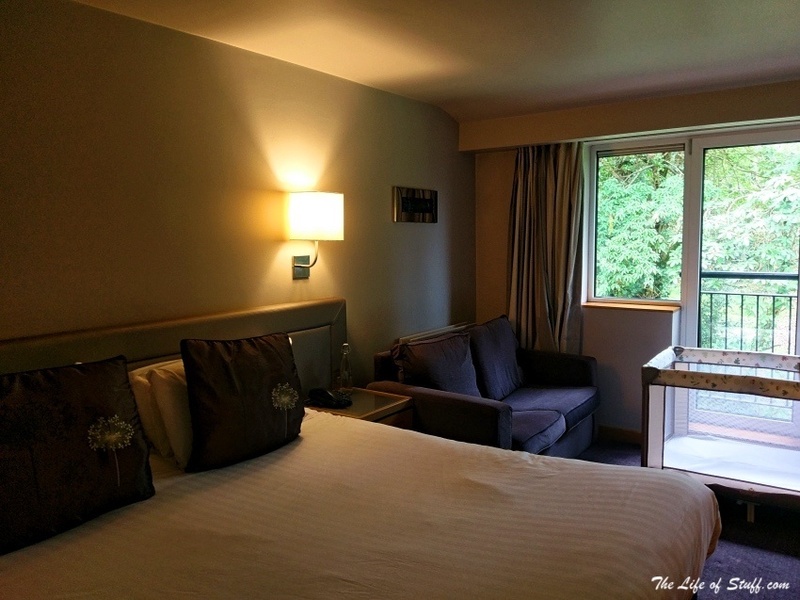 Well apart from more Spa time, I would definitely look into booking a room with a balcony as it would allow for Mammy & Daddy space while the boys slept – perhaps that bottle of prosecco while the sun sets over the garden weather permitting. 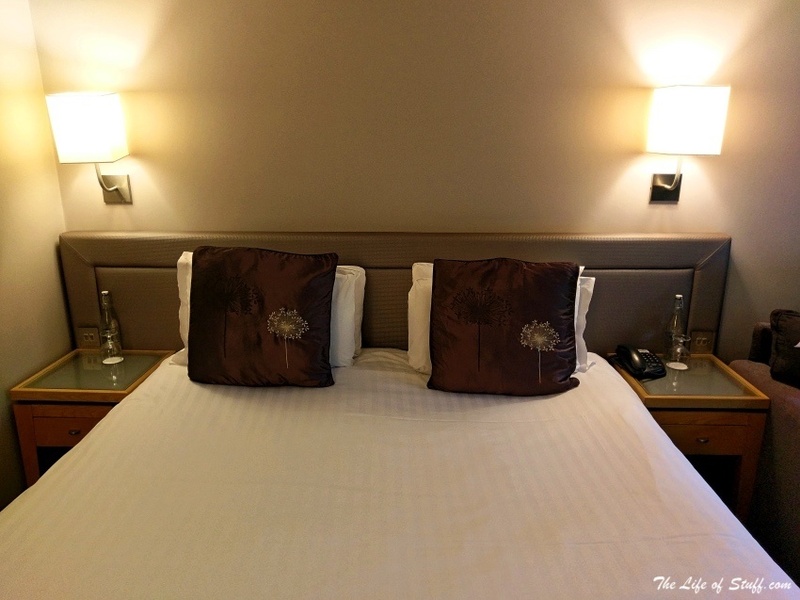 Thank you to Mary Bernard from the Maryborough Hotel & Spa for organising our stay. 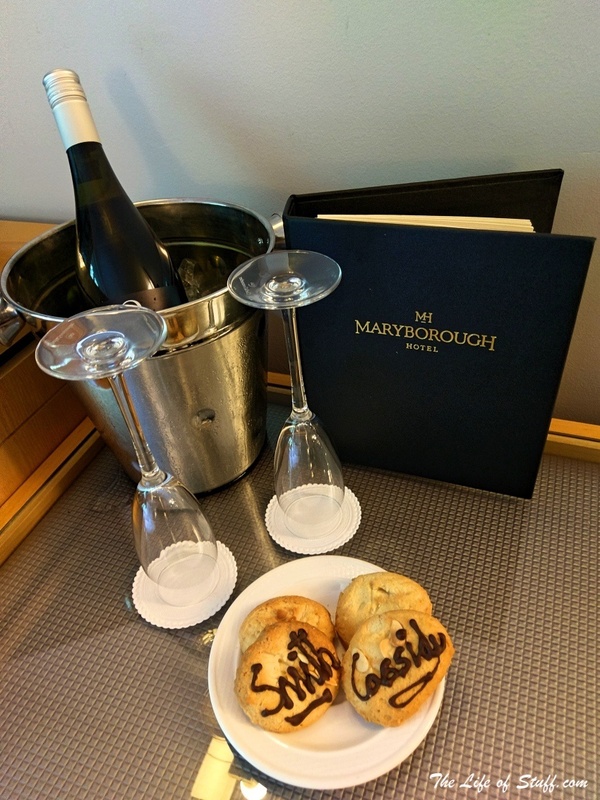 Thank you to the Maryborough staff we met during our stay – you made our stay a pleasure.